Understanding the ways that the ocean moves and what it's moving over can help you take your surfing to the next level. Here are the basics on tides, swells and breaks. Becoming a student of tides can help maximize your time and energy. 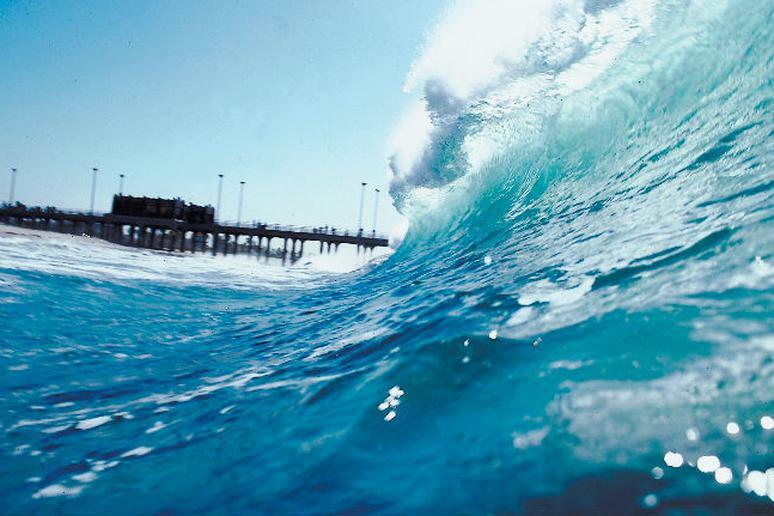 The water depth at a break can greatly affect wave shape, size, and consistency. So planning ahead and surfing when the tide is most favorable can amplify the fun factor of your sessions. Type of break. Many reef breaks tend to work best as they’re going from low to high tide, while many beach breaks work well at midtide. In areas that experience a considerable amount of kelp growth, a very low tide can also result in a great deal of the green stuff at the surface, which can make surfing a real challenge: When struck by a surfboard’s fin, kelp acts like a speed bump. And the surfing area of an inside break that’s near a bluff can get filled in with too much water at a very high tide—preventing any decent waves from breaking before hitting land. Swell size. Checking the online surf report for the spot you plan to surf is key. Depending on the bottom contour at that break, a lower tide can result in larger waves closing out. If the swell is small, on the other hand, a higher tide can create mushy conditions. Wave shape preference. You’ll generally want to surf on a lower tide for faster and hollower waves and a higher tide for more forgiving waves. Tide direction. At many breaks you’ll see a push in wave size and consistency as the tide is rising and a decrease when the tide’s dropping. Hint: Time spent surfing a spot regularly will help you make the best decisions when it comes to choosing your ideal tide window. The more experience you have surfing a particular break, and the more you know current swell data and wind conditions, the better you’ll be able to predict what tide height will make for the optimal surf session. Ground. Groundswell is generated by very strong winds over massive distances in the open ocean. This type of wave energy can reach as deep as 1,000 feet and travel for thousands of miles. Wind. This kind of swell is created by wind that is much closer to shore. Therefore, this type of wave energy doesn’t reach as deep and is normally not as powerful as groundswell. Surf spots—areas where surfable waves form—are also called breaks. Wave energy will break differently depending on the tide, the swell direction, and, just as important, the characteristics of the shore bottom. Beach breaks are areas where waves are breaking very close to shore. Often such breaks are very steep and hollow, making them difficult to surf. Beach breaks are often frequented by bodysurfers, bodyboarders, skimboarders, and, depending on the quality of the wave, shortboarders. Sand breaks are areas where waves break over a sandbar. These breaks can be altered, because sand shifts and can look very different from time to time. Sand breaks are usually found closer to shore and create smaller waves. Reef breaks are areas where waves break over a coral or rocky reef. Coral reef breaks tend to occur in shallow water and can create some of the most spectacular barrels in the world. The majority of the famous island breaks in the world are coral reef breaks. Point breaks are areas where waves break at a part of the shore that extends outward. They tend to be larger and more consistent than others because they are the first areas of shallow water that a swell hits. Often a swell will wrap around a point, providing more than one surfable peak. Inside breaks are areas where waves break relatively close to shore. Because they don’t require very much energy to paddle to, these breaks tend to be the most popular for surfing. However, because they are closer to shore, inside breaks near rock outcroppings or cliffs may not be safe for novice surfers when the tide is high. Outside breaks are areas of somewhat shallow water where waves break farther from shore. These breaks can create some of the largest and most powerful waves. Because the water is deeper than with inside breaks, outside breaks usually require a deeper groundswell in order for waves to form. Lefts are waves that break from the peak to the surfer’s left. This usually means you’ll get a more desirable and longer ride by turning left after catching the wave. The quality of a left at any surf spot is dependent on the swell size and direction as well as the tide, current, and wind conditions. Rights, as you may guess, are waves that break from the peak to the surfer’s right. This usually means you’ll get a more desirable and longer ride by turning right after catching the wave. The quality of a right at any surf spot is dependent on the swell size and direction as well as the tide, current, and wind conditions. The above is excerpted from The Art of Surfing, available now from FalconGuides.